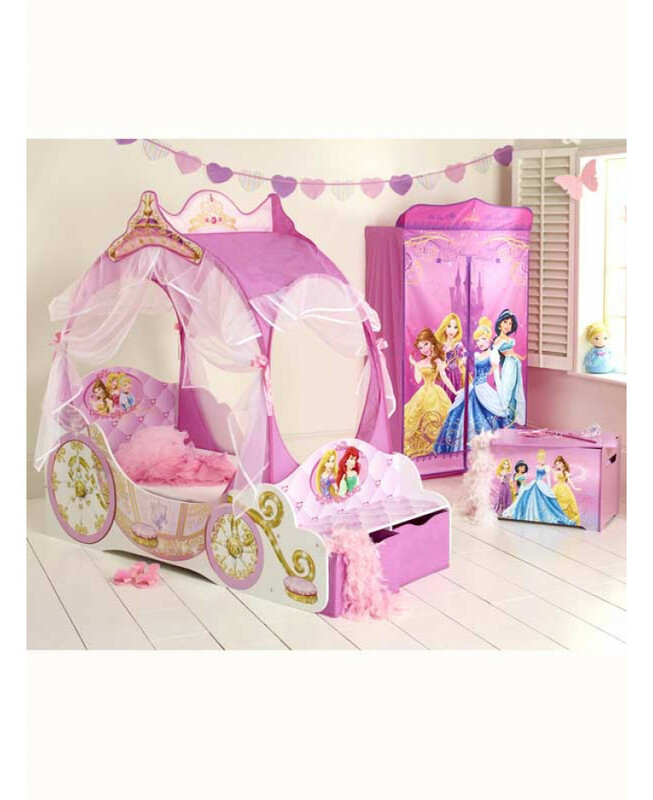 Beautiful Disney Princess sleigh style Toddler Bed with four poster canopy, every little girl’s dream bed! 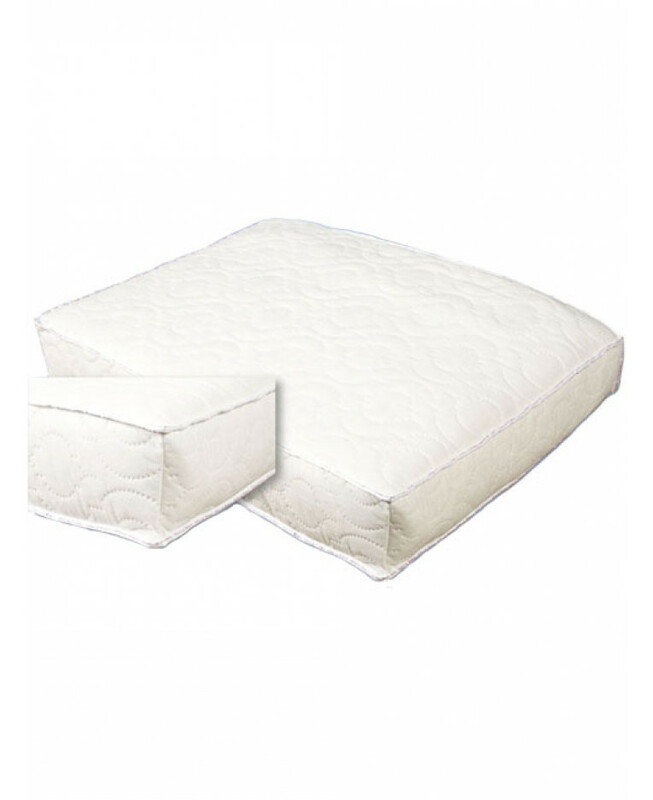 It also has a layer of CMHR foam and then a softly padded polyester layer adding extra comfort. 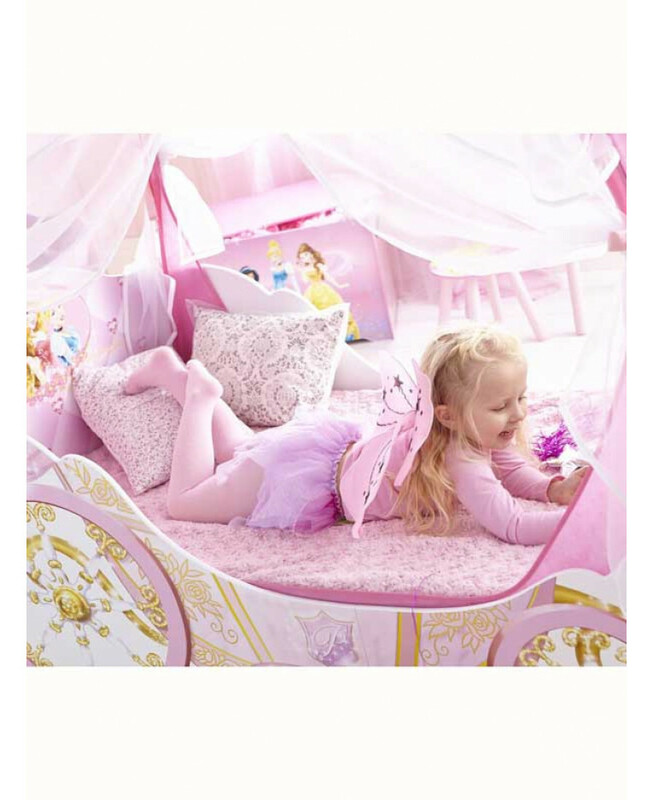 Our range of mattresses comply with Government Regulations of Ignition and are free from any harmful fire retardant chemicals. Transport your little princess into a fairytale fantasy with her very own Disney Princess Carriage Toddler Bed. 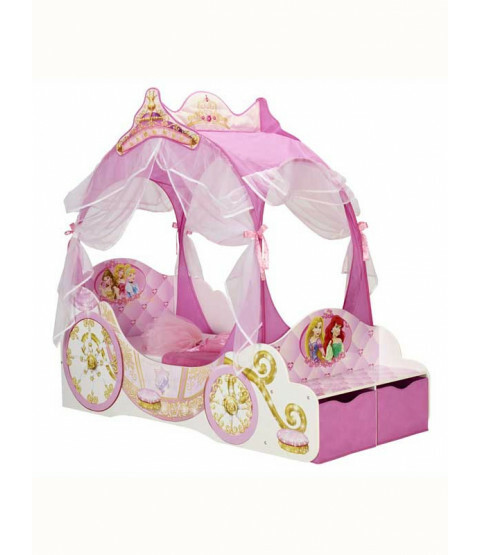 Draped with pretty voile and featuring her favourite Disney Princesses, the Disney Princess Carriage Bed is every little girl’s dream come true. 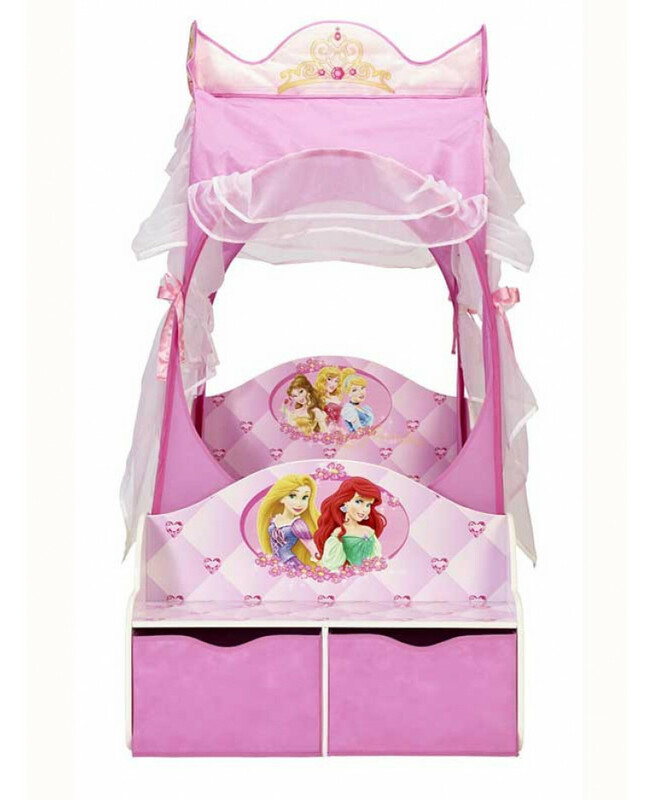 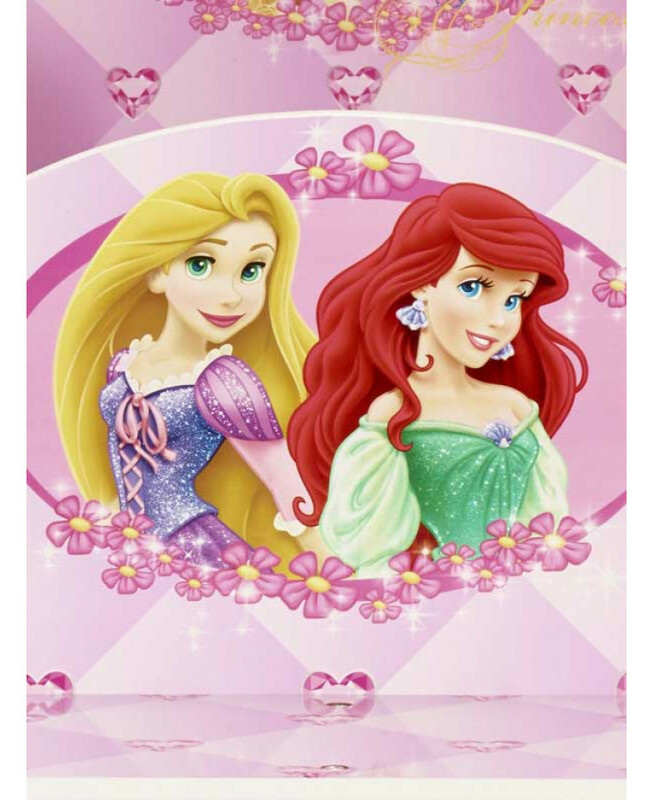 The perfect height for little legs to hop up on, the delightful Disney Princess Carriage Toddler Bed is practical too, with protective side panels to stop bedtime tumbles, a sturdy MDF bed frame to keep her safe and snug and an inbuilt seat that doubles as a handy storage area.